– Helping with our weekly stall, by talking to the public and handing out leaflets. We have our stall every Saturday afternoon from 12 till 2pm. This is usually at the Clock Tower in central Brighton, but the location sometimes changes. To confirm the location, contact us using the link at the bottom of the page. 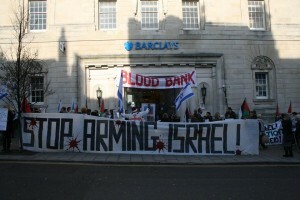 – Writing letters to the press or phoning the BBC when events in Palestine are reported inaccurately or in a biased way. Find out more here. 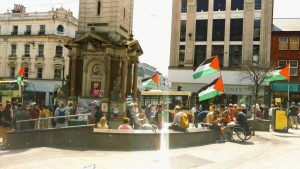 – Supporting demonstrations in the town as part of our contribution to the international movement for Boycott, Divestment and Sanctions (BDS) and to raise awareness about the Palestinian struggle. 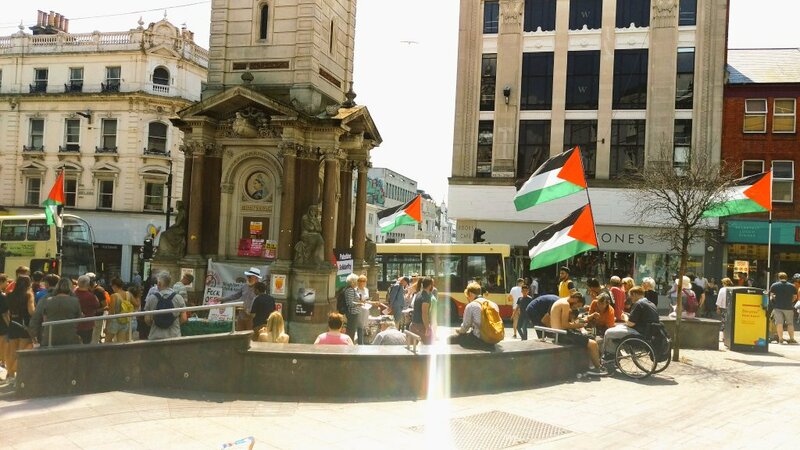 – Taking part in marches and demonstrations in the town at times of crisis, such as the assault on Gaza in the summer of 2014. We take part in national events and demonstrations. We co-operate with other local organisations which support Palestinian rights, e.g. Brighton & Hove Trades Council, local branches of political parties and campaigns, Amnesty, Stop the War Coalition, Sussex Defend the NHS, Women’s League for Peace and Freedom, Brighton Jordan Valley Solidarity, SmashEDO. The best way to support our campaign is to become a member of BHPSC. You can join via this website by clicking here. We will ask for a small annual subscription. Once you have joined you will receive regular information about our activities, and will be able to take part in our discussions and planning. We will value your help and support. A good way to find out about our campaigns and to get involved is by coming along to our monthly planning meetings. We meet on the second Tuesday of every month 7.30pm till 9.30pm. The venue for our meetings varies, so use the ‘Contact Us’ facility on this website to check. If you prefer not to become a member at this stage, you can still receive periodic email updates from us by signing up in the right-hand side column of this page. Please also check this website from time to time too.